When you walk out of a room, how does it change? - HELLO, my name is Scott! Of course: The Lone Ranger. Even a Gen-Xer like me knows that. And just imagine. Wouldn’t it be cool if customers said something like that after YOU left? That’s what those five words represent. 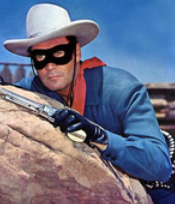 The Lone Ranger was so cool, so unforgettable, and so distinctive that when he left, people wanted more. SO, HERE’S THE BIG QUESTION: When you walk out of a room, how does it change? HERE’S THE SECRET: Whatever change occurs to the room is a tangible representation of how your character, actions, words, reputation and personality have been experienced by the people around you. 1. When you walk out of a room, are people genuinely sad to see you go? In a 2009 Daily Show interview with Michael J. Fox, Jon Stewart wrapped the conversation up with the following compliment, “Michael, when you walk into a room, everybody feels better.” Wow. Sure is inspiring to see someone have that kind of affect on people. And I imagine that if YOU did, your career would surely skyrocket. This is not good. If your leaving the room results in people’s postures relaxing as they breathe a hefty sigh of relief, you’re doing something wrong. If your leaving the room allows people to (finally) resume their conversations, you’re doing something wrong. Do you bring drama or peace into people’s lives? 2. When you walk out of a room, does the population of that room decrease? That’s the epitome of leadership: People want to walk out of the room and follow you, even if they have no idea where you’re going. That’s also a surefire sign of presence: People just assume go home now that you’ve left the party. Because you’re inspiring. Because you’re trustworthy. Because you’re fun to talk to. And because you’re followable. I wonder what you would have to think, say, do or BE differently in order to make that happen. How are you leaving an imprint on everyone you meet? 3. When you walk out of a room, does the temperature go up five degrees? This reminds me of SNL’s Debbie Downer, brilliantly played by Rachel Dratch. Her cynical character’s sole purpose was to interrupt social gatherings to voice negative opinions and pronouncements. She immediately sucked the energy level out of the room like a Hoover vacuum. And ever time she did so; the classic “Wa-Wa” trumpet sound effect would play. Are you like that? Someone who persistently adds bad news or negative feelings to a gathering, thus bringing down the mood of everyone around you? I hope not. Because Debbie Downers are avoided like the plague. And when they walk out of a room, people are GLAD to see them go. Because negatively rarely looks good on anybody. What is the temperature of your presence? 4. When you walk out of a room, do people ask about you? This brings us back to The Lone Ranger. His departure stimulated curiosity, intrigue, fascination and amazement. Now, obviously you can’t expect to achieve such memorable presence every time you leave a room. What you CAN do is increase the probability of people asking about you by practicing tenets of approachability. First: Be The Observed, not The Observer. Second: Create Points of Dissonance. Third: Position yourself as a resource. And fourth: Build Name Equity. No silver bullets, horses or sidekicks necessary. Are you buzz-worthy? 5. When you walk out of a room, does it get quieter? Meet my friend Neen James. She’s a productivity consultant, originally from Australia. And while it’s hard to explain in writing, she has the most contagious, smile-inducing laugh you’ll ever hear. She’s also the type of person who can find humor in anything. So, when you’re hanging out with her, you get to hear that famous laugh A LOT. Which, in turn, makes you laugh more. Which makes her laugh more. Which makes you laugh more. And the endless cycle of fun begins. Combine that with Neen’s optimistic, no-worries attitude and upbeat energy, when SHE walks out of the room, the volume goes from eleven to six. Like clockwork. Which makes sense, since she IS a productivity consultant. How fun are you pereceived as being? 6. When you walk out of a room, how do you leave people? Maybe people start taking action. This means you were inspiring, interesting and actionable. Maybe people swim in mutual confusion of having no idea what the hell you just said. This means you need to speak with more Meaningful Concrete Immediacy. Or, maybe people spring to life. This means you spoke in a passionate, challenging and empowering manner. The choice is yours. How do you leave people? 7. When you walk out of a room, are new people connected that otherwise wouldn’t have met? Networkers work the room. They deal their deck of business cards to everyone they encounter in a superficial, flaky, campaign-trail way. They’re spotted from a mile away and reek of the stench of self-centered overexertion. Connectors, on the other hand, help the room work itself. They find people that need to meet, use accomplishment-based introductions, and then get the heck out of the way. But here’s the catch: They can only be spotted from up close. Because that’s the nature of their relationships: Close. That’s how people are draw to them: Close. Are you networking or connecting? 8. When you walk out of a room, does your spirit remain? Lastly, this suggests you don’t just want people to remember you, but to be positively influenced BY you. “Noticeable in your absence,” as I like to say. And the ideal situation is, people will start to patiently and excitedly wait until they are given the privilege of being blessed with your presence again. Not because you’re always perfect. Not because you’re always in performance mode. Rather, because you always make people feel essential by helping them fall in love with themselves. How do YOU leave people? REMEMBER: If your presence makes a difference, your absence will make a difference too. Ultimately, it’s not about being the life of the party – it’s about bringing other people TO life AT the party. For the list called, “19 Ways to be the ONE Person at Your Next Conference Everybody Remembers,” send an email to me, and you win the list for free!